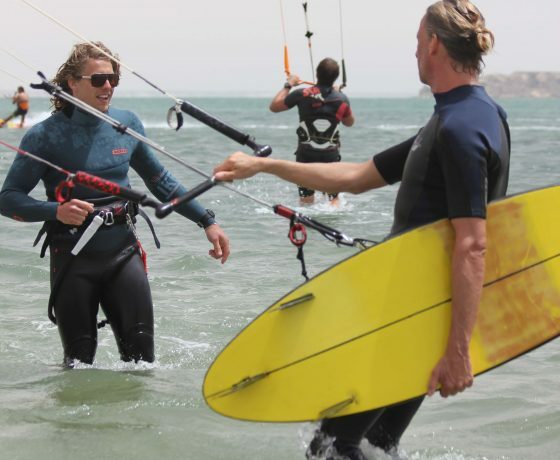 Want to progress your kiteboarding skills and need that extra push for the next step? 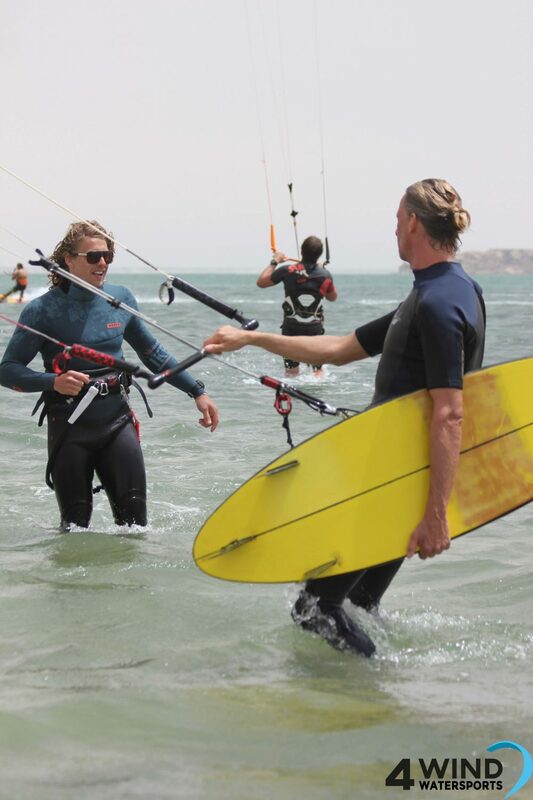 Sander Bos (freestyle week of 4th till 11th of May) , Kelly Schouten (20/4 till 4/5/2019), Maroean and Paul will return to the beautiful lagoon of Dakhla to coach and train Oceanbirdz guests. 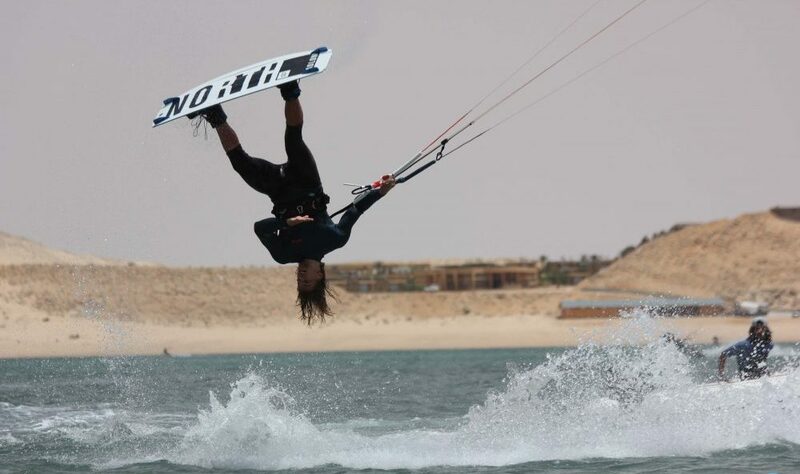 Desert, wind, clinics and good company are the keywords for this kiteboarding camp. During the trip you will get 4 days of intensive training. 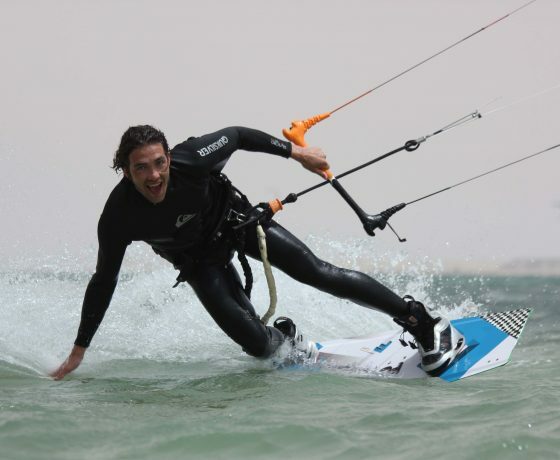 Next to a personal kitesurfing progress plan, tips and tricks at the beach and on the water, we will work with theoretical clinics, practical information about your gear and video analyses. Beginner? No worries, we offer kite lessons. And besides we will also have a group that focuses on riding upwind, making first transitions or even a first jump. 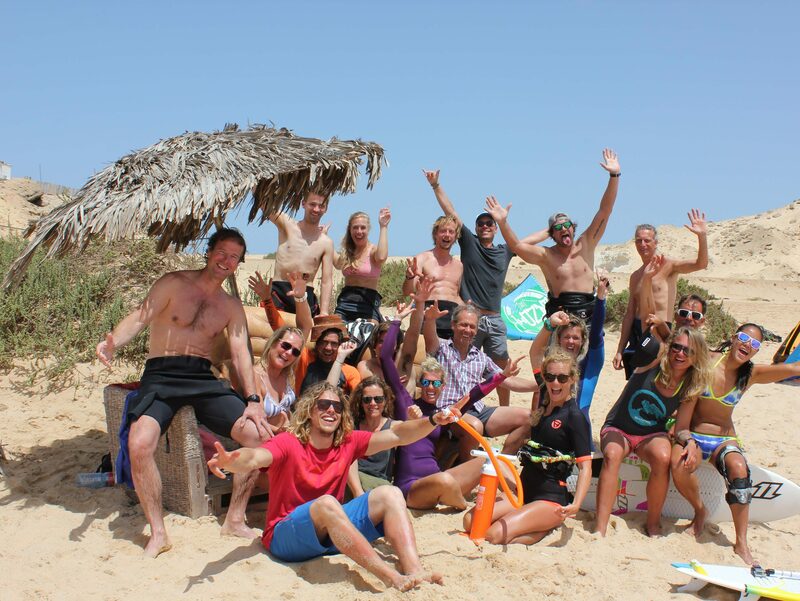 At this kiteboarding camp we welcome all levels for a good week of fun and relaxation. 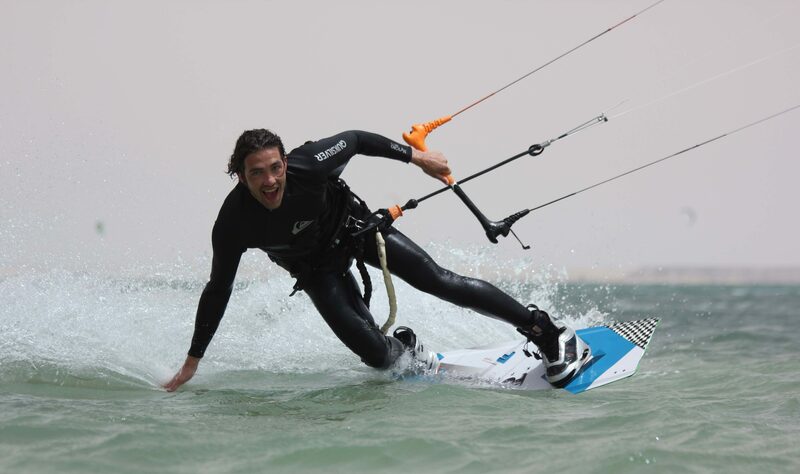 Next to the kitesurfing progress trainings at the speed spot, we will take you for a downwinder visit to the white dunes. In case there is no wind, we will offer a nice surf day, kayak to dragon island or take you out for a cable session. We will stay at wooden bungalows in the middle of the desert (check out the ‘accommodation’ tab), with nothing than sand, sun and a kite lagoon surrounded. As soon as you leave the plane you will get the ‘back to basic feeling’ straight away. We will provide daily breakfast, lunch and dinner (fresh fish / homemade tajines). If you still have some energy left in the evening, we can always go for a nice drink to the bar. Do we need to say more? 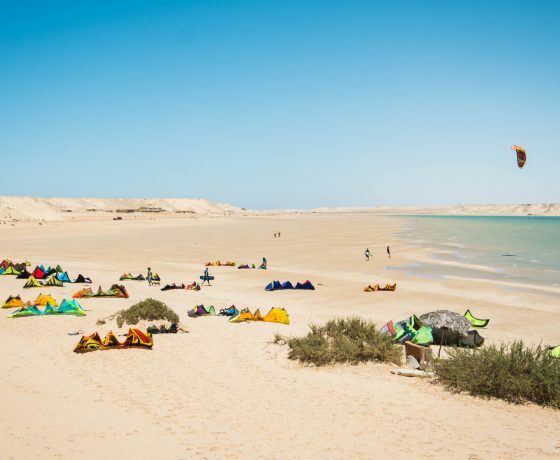 Pack your kite gear, boardshort, bikini, a good book, save all your energy and join us to the perfect kitesurfing destination in the middle of the desert: it is time for progression in kiteboarding paradise Dakhla! 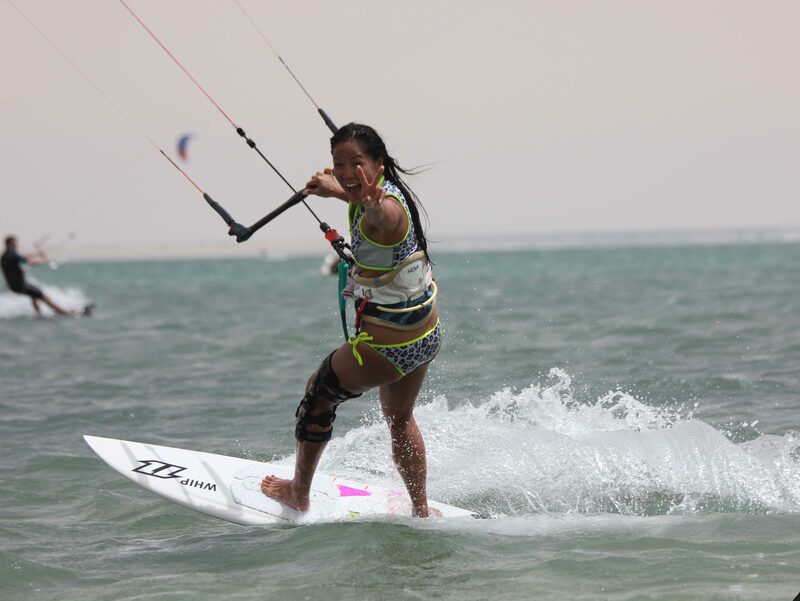 Dakhla is for many people the definition of perfect kitesurfing conditions. The likely largest kitesurf lagoon throughout the world is matched with perfect wave spots just across the 40 km long peninsula. On top, the wind probability even meets the steady and constant wind you thought you would only find in Brazil. And Dakhla has all this almost all year! Conclusion: a perfect kiteboarding destination for beginners, intermediates, freestylers and even wavekiters. If the wind is on, it is ON! Last year we brought our 7m and 10m kites. The wind will start slow in the morning, but always picks up in the afternoon. So you do need a small kite for the afternoon sessions. You can ride in a shorty or summer suit (3/2mm). During the day you can chill out in your bikini. In the evenings the wind won’t drop, so it can be a bit chilly. Therefore don’t forget to bring a wind jacket or sweater that you can wear early morning or when walking to the campfire at night. 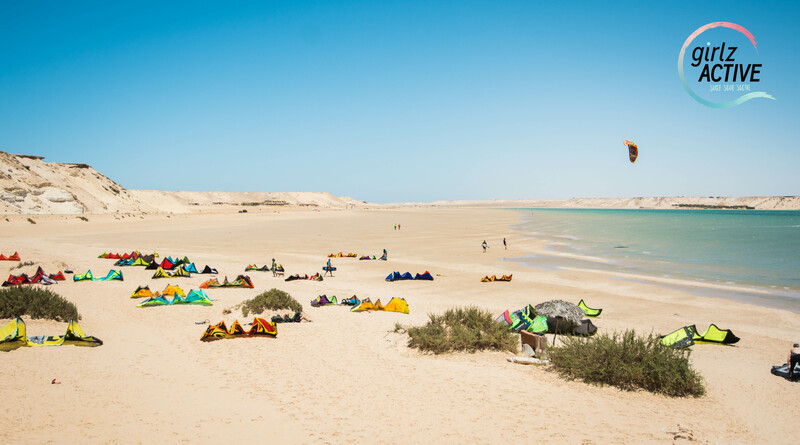 The beautiful Dakhla Attitude is located at the best spot in the whole Dakhla lagoon, right overlooking the water and around the corner an area with no other camps. We have booked wooden bungalows (1-2 persons) with a private bathroom. The accommodation has a traditional and great restaurant + terrace, fully sheltered from the wind. Here you can eat, drink and relax while watching the dolphins swimming amongst the kiters and windsurfers. Or practice yoga with a view on the kiteboarding spot. Trust us: it is a sight you will not forget! We choose this location, because it is a luxurious and friendly camp, which offers all needed and with a very professional kitesurf centre. A camp where everybody gets to know each other and everybody will feel welcome. Good times and good vibes are the goals for this kitesurfing trip. 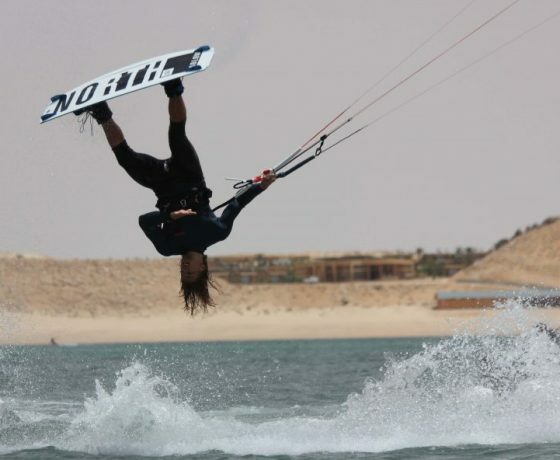 Dakhla Attitude offers a fully equipped RIFLY kitesurf centre that we will be using to support us. 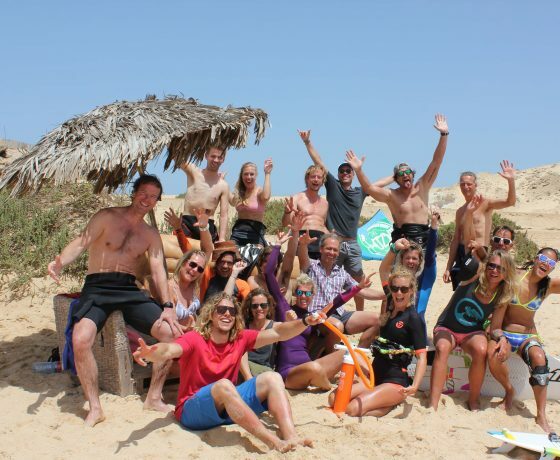 The team of instructors are well trained, have been certified by the International Kiteboarding Organization (IKO) and speak a variety of languages. The centre stocks brand new 2018 Cabrinha gear for our lessons and rentals. You will find a combination of kites, twintips and directional boards. Free wireless internet is offered in the bar area for all guests. Once you arrive at Dakhla Airport someone from Oceanbirdz will be there to pick you up in a 4×4. Look for the sign that reads DAKHLA ATTITUDE. Maroean is the owner and founder of Girlzactive. Besides being the host for this camp, IKO licensed instructor and coach, you can ask her everything about Ocenbirdz & Girlzactive, all the trips and of course about your gear. 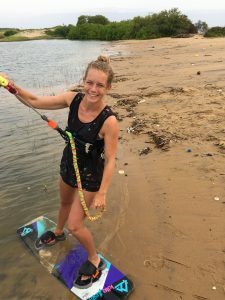 She can write many stories on how great board sports are and all the ins and outs of the trips, but even more she is looking forward to meeting you in person on the trips and events. She would love to share her passion for board sports and the way of life that comes with it. + Sun, fun, sand and wind! * We have a no wind policy for lessons and gear rental. In case there is no wind we will offer alternative activities, like surf lessons. wakeboard park and SUP clinics. If you don’t want to use any of these board sport options, we will provide you with a voucher for the remaining lessons. Rental is without insurance, which can be offered for €55,- per week if you don’t have it already. We offer 12 spots per week. Want to join alone? No worries, most of our travelers do. You will share a bungalow with another traveler. Prefer your own? You can book a single bungalow as long as we have availability.